Our dream holiday home on Skye, recently voted '4th best island in the world' by National Geographic magazine. We are pleased to be able to share it with you. 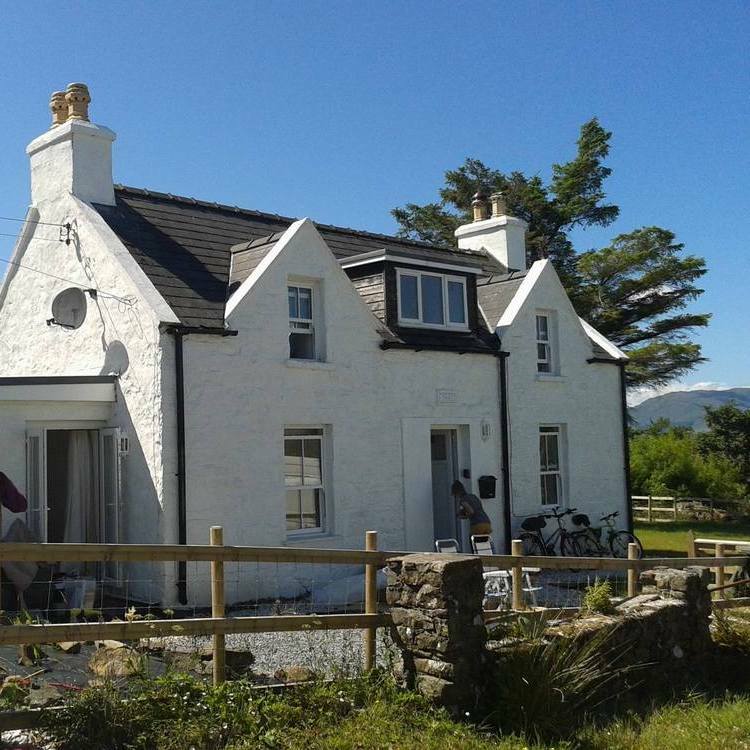 A traditional 1 ½ storey house, it is located just 10 minutes from the Skye bridge or 20 minutes from the Mallaig-Armadale ferry if you fancy coming 'over the sea', yet as it is off the main A87 it is a true oasis of peace and quiet. The house and gardens stretch down to a tidal inlet overlooking the Ardnish Peninsula. 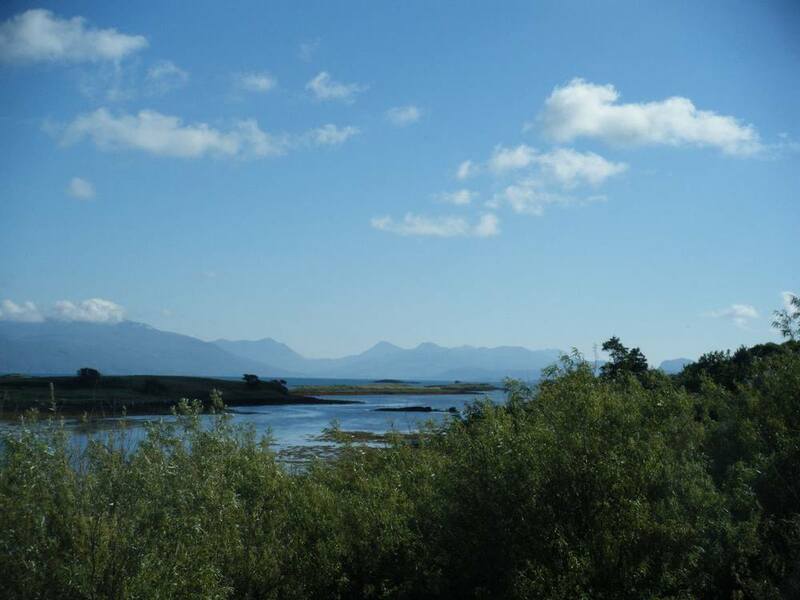 There are truly stunning uninterrupted views from the garden across Broadford Bay towards the Red Cuillins, the Isle of Scalpay and the mainland at Applecross, and the cairn on top of Beinn na Caillich is truly tempting! The house was built in 1902 and has recently been fully refurbished to a very high standard, and has been awarded Visit Scotland Four Star status, with a modern heating system, individually controlled in each room, a wood burning stove, 2 bath/shower rooms, wireless Internet access and new white goods. The main garden is fenced, including the parking area which will easily take two cars, and we provide a barbecue and garden furniture so you can make the most of the good weather. There is substantial land outwith the stock fence, where you can enjoy a bay side fire or simply take in the view. The cottage is the perfect place to launch kayaks, canoes or dinghies. The water comes right up to the edge of the garden at High water springs, so boating couldn't be easier and when you arrive back you can simply pull the boats up onto the garden. If bird-watching is what you are interested in, Ardnish, being at the Eastern edge of Broadford Bay is one of the best birding spots on Skye, regularly picking up migrants on brief stopovers as well as the occasional scarce vagrant. 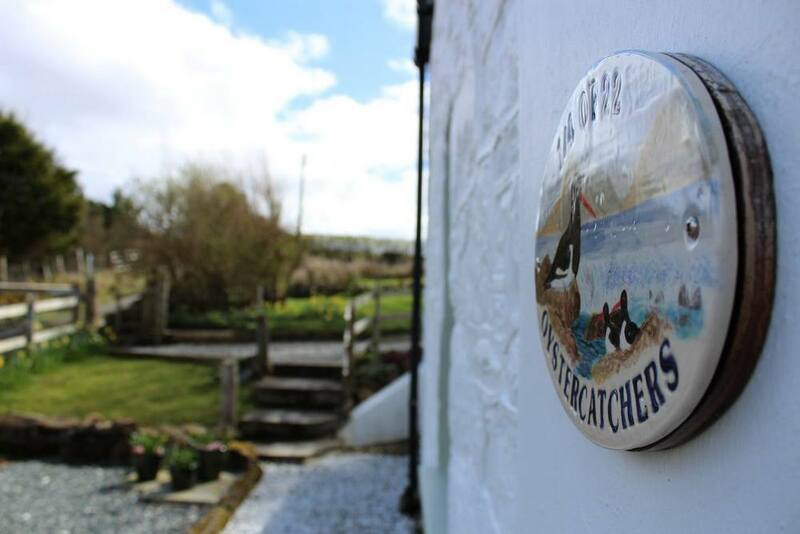 The Bay can often be relatively sheltered when gales are belting in from the west and there is a long window on the shore side gable end of the cottage so you can even view in comfort from inside! Despite being only a 10 minute drive from Broadford and less than a mile from the main road the cottage is accessed down a private road, so is very quiet and low light pollution makes the area ideal for star gazing. You will probably be woken only by the call of seabirds or geese as they pass overhead.